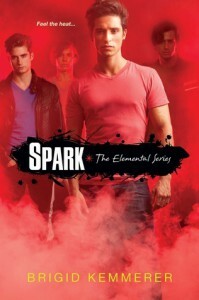 Spark (Elemental, #2) - I Am Carina And I Speak For The Books! Never had I expected to like Spark or Gabriel, as much as book 1.This series has restored my faith and love in the YA PNR genre. I has been years, since I read my first YA PNR book. Since i was hooked. Since I feel in love.And in those years, I have read and read and read some more books of this genre. They have slowly, but surely becomed repetitive, predictable, boring, underwhelming. It was devastating. And then I read Storm and it was like a bucket of ice cold water was tossed in my face.It woke me up. It made me feel for this genre again! But I was still wary of having such high hopes for book 2.Well I am extatic to admit that I AM human. 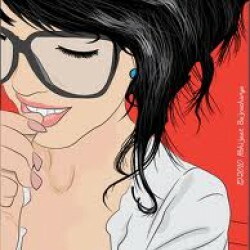 That I am NOT perfect. And that I was WRONG!Spark is a perfect sequel to the series. From Book 1, I never would have thought I was going to end up loving Gabriel so much. But the author did a great job at showing us all that was kept inside Gabriel's head and heart. There is so much more deepness to him.Also, the bromance between him and Hunter? AWESOME! I might have been one of the few who loved Hunter in book 1. And I was so glad to hve him become a bigger part of the brother's lives, specially Gabriel.Another plus? The relationship development. It was NOT love at first sight, at all. All I can hope for to come in the next books, is that they are as awesomely written as the first 2 have been. Book 3 is on my Must-read-as-soon-as-its-out list!! !